Everton got back to winning ways with a 3-1 win over Brighton at Goodison Park. A Richarlison brace and a superb strike from Seamus Coleman were enough for The Toffees to pick up the three points. 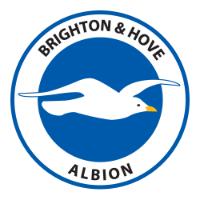 Albion did equalise in the first half to make it 1-1 when a short corner was played to Solly March, who whipped in a fantastic cross which Lewis Dunk headed in from just two yards out. Everton stay in ninth with the win, whereas Brighton drop a place to 12th after the defeat. Brighton failed to deal with the attacking Everton full-backs and suffered. Lucas Digne and Coleman were charging up and down the wings and put it some threatening deliveries throughout the game, as well as some efforts at goal. However, Albion did not mark them well enough and it ended up with Coleman making it 2-1 in the 50th minute, when Beram Kayal's tackle on Andre Gomes broke to Coleman on the edge of the box and he struck the ball low and hard into the bottom left corner. Digne did have a strike in the first half which went well over, but the key was that both Alireza Jahanbakhsh and Jose Izquierdo did not track back well. This meant that both Brighton full-backs Bruno and Gaetan Bong were left two-on-one many a time throughout the game. Everton's striker, Richarlison certainly thrived in the game against Albion notching a brace. His first came from a great piece of counter-attacking football from a Brighton corner, which saw Gylfi Sigurdsson play him in and the Brazilian forward blasted powerfully over Mathew Ryan and into the roof of the net. His brace came with 13 minutes left when he pounced on a poor square ball from Dunk and raced past Shane Duffy before taking the ball round Ryan and tapping into an empty net. 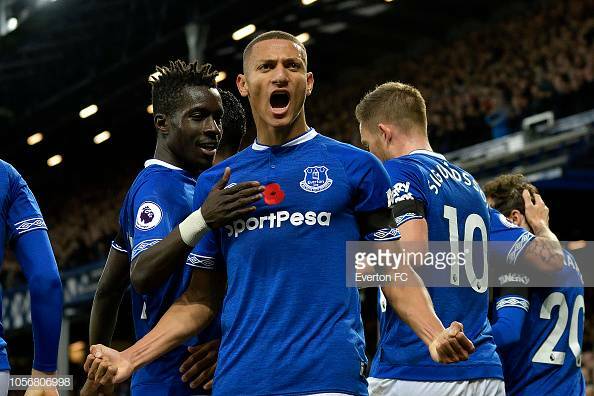 Richarlison is now Everton's top goalscorer this season, with six goals and looks to be the main man with him having kept Cenk Tosun out of the starting lineup for the last couple of games. 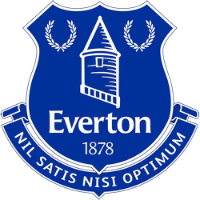 The Seagulls headed into the game looking for their fourth consecutive win and were full of confidence, however, they just did not have the guile, possession and chances which Everton had. Despite this Brighton kept trying to get a goal to get back in the game even at 3-1 down, with Jahanbakhsh testing Jordan Pickford with a curling effort from the left wing late on. One positive for Albion is they got chance to see Florin Andone make his Premier League debut getting 15 minutes. He certainly impressed with his pace, strength and hold up play, but unfortunately did not get a chance to have a go at goal. However, after doing so well off the bench he may get some more game time in the league over the next couple of games. Brighton will now re-group and look to get back to winning ways, when they travel to Cardiff City next Saturday, who lost 1-0 to Leicester City this weekend.